If the month leading up to the NHL All-Star Game are the dog days of the NHL season, the all-star break is the dog days of Flames coverage -- unless of course, you're closely monitoring the antics of Johnny Gaudreau and Mark Giordano in Nashville, who between PK Subban selfies and Jeremy Roenick jam sessions, clearly seem to be having a good time. 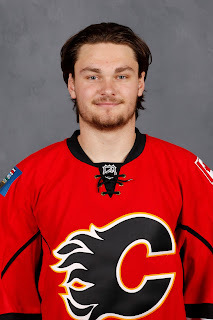 As an alternative to John Scott appreciation weekend, I thought today would be the ideal timing to unveil the second edition of my Flames From 80 Feet Calgary Flames prospect rankings. The intention is to update this list twice a year. The first edition viewable here came out last August, after the NHL draft and development camp had taken place. Given what we can evaluate and learn about players through rookie camp, main training camp, the IIHF World Junior Championships and a half-season of hockey, issuing a mid-year update five or six months later seemed like a good idea. As you'll see, there's been plenty of movement too. Over time, these twice-a-year snapshots of the state of the organization's prospect cupboard will provide a nice way of tracking players as they rise and fall on the depth chart. For my rankings, note also that this isn't the order I expect players to ascend to the NHL. Do not view it as a 'who will be next?' chronological list. Instead, it is a hybrid approach that also factors in the impact/role I expect that player to have when (or if) they do make it to the NHL. I've also included an ETA. This is when I project them to arrive in the NHL -- if they make it -- and establish themselves as a full-time player. At that point they would graduate from the list. Speaking of which, two players from the August 2015 edition are no longer considered prospects as this season they have become fixtures in Calgary's line-up. 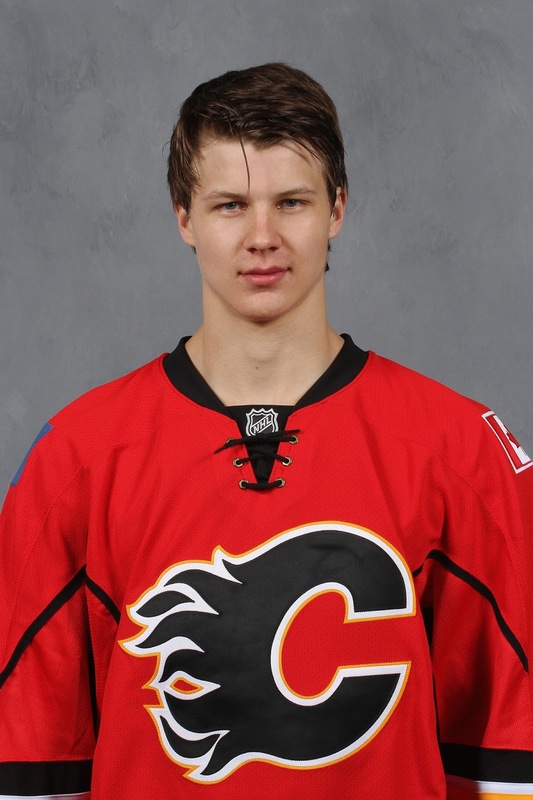 The other name from last time you may be wondering about is Markus Granlund. While he's been an everyday player for the Flames since being called up in late November, I don't view him as "established" yet as the reality is he could be in Stockton by next weekend. If Ferland is ready to return from injured reserve, a roster decision at forward will be required in the next few days and of the options to be demoted, Granlund is certainly one of them. Audio Alert: On Monday, February 1, I joined Ryan Pinder on Sportsnet960 radio to discuss the latest prospect list. Listen to the archive of that segment for additional insight as to why certain players are ranked where they are. After a great showing at the rookie tournament, Gillies reported to the AHL and earned two shutouts in his first three starts. Unfortunately, he suffered a season-ending hip injury on Nov. 6. A lost season could delay his arrival in the NHL by a year, but the club remains hopeful he is Calgary's future No. 1. 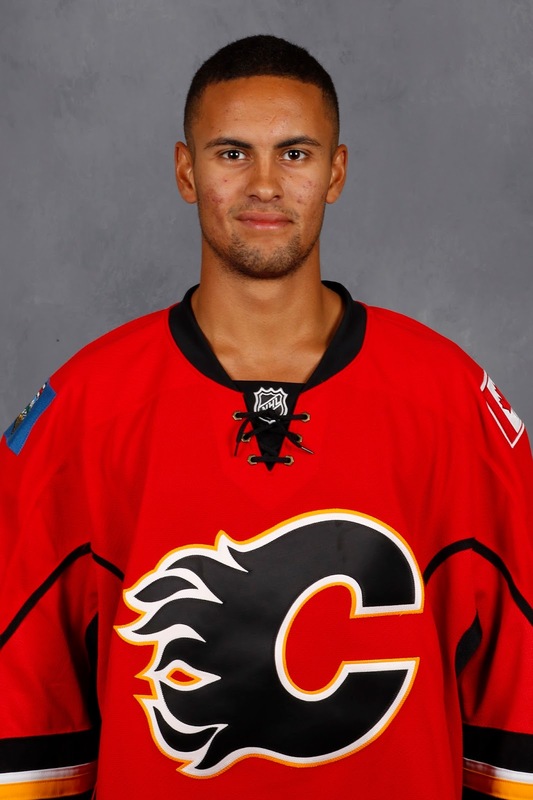 What an impression the stocky but talented Swede made in training camp, especially in Penticton where he stood out as the Flames top defence prospect with his all-round game. Calgary's top pick in the 2015 draft, expect a year of seasoning in the minors in 2016-17 but he could be ready soon after that. Now in his second year of NCAA, Hickey added some valuable international experience when he made Canada's World Junior team where he saw regular playing time in a mainly defensive role. 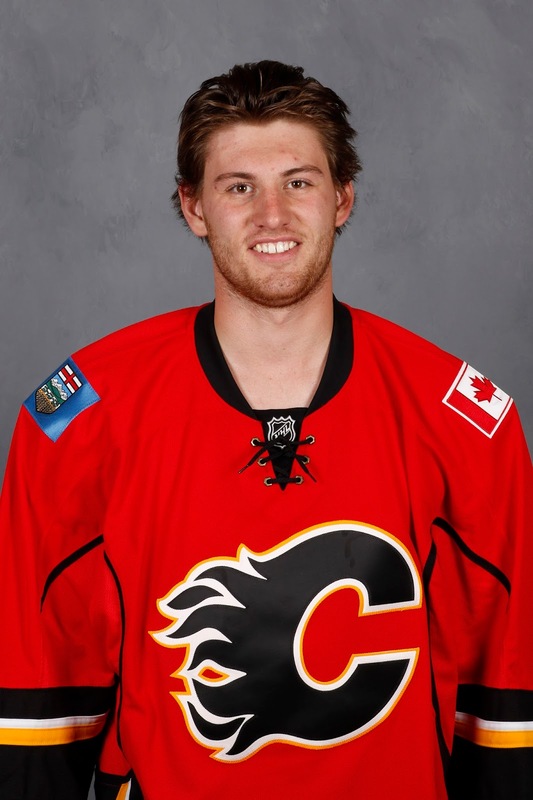 There's a decent chance the Leduc-native could leave school and sign with the Flames this spring. A disappointing training camp has taken some of the shine off this once highly-touted prospect. He is young, the upside is still there and he's been better lately but he's not as far along as expected at this point. Effective when he plays with an edge, he needs to get back to playing that way consistently. The good news was he made Canada's World Junior team. The bad news is he didn't look all that comfortable in his starts both pre-tournament and in the tournament itself. He's also not having as good of a year in the QMJHL. Gillies' injury may mean a return to junior as an overager next season. Playing in the AHL at age 18 is rare but that's where Kylington is after coming over from Sweden. He's playing regularly but has lots of work to do on his defensive play. Stockton coach Ryan Huska says he is improving though. An NHL-caliber skater, he just needs to round out the rest of his game. Offence hasn't come easily but the jump from junior to pro is huge and it can take a while for rookies to find their way at the next level. Huska says the stats don't show it but he likes his all-round game and figures the offence will come. Recently Klimchuk is playing more including time on the PP and PK. Wanted to turn pro last summer but Calgary recommended one more year of NCAA where he'd be a relied-upon leader on the reigning national champs. After focusing on his defensive game, he's now the No. 1 centre and enjoying his best year offensively. He is very much back on the prospect radar. Mangiapane has done nothing but impress since being drafted. Highly-skilled, he stood out in rookie camp with his sublime play-making ability and is in the midst of a tremendous year at Barrie (has 10 goals during a six-game goal streak). He's built for the type of speed game that the NHL is evolving into. Granlund is getting a chance to play regularly in the top-nine -- and with offensive players -- and his inability to create offence is a concern. His size -- closer to 5-foot-11 -- is also an issue as he often gets outmuscled. A very good AHL player, his NHL ceiling may not be as high as we once thought. 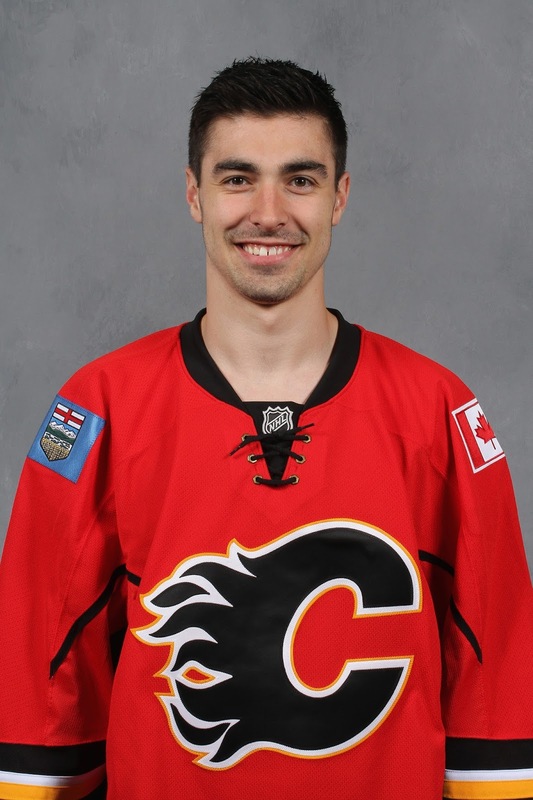 Was a wonderful story as he came from far down the depth chart -- played in the ECHL last year -- to make Calgary's season-opening roster thanks to his steady, smart play in Penticton and main camp. Big and mobile, Kulak has put himself in the mix for an NHL job once some of the vets are cleared out. After impressing as a relative unknown in training camp, Grant has been lighting it up in Stockton as the team's offensive catalyst. Big, fast and very good at face-offs, this late bloomer has opened a lot of eyes. A pending RFA at season's end, he could be a very serviceable bottom-six NHL player. He's the D prospect with the most pro experience but inconsistent play has hurt him. His up/down treatment by Calgary surely hasn't helped his confidence either. Getting beat out in camp by Kulak also said a lot. 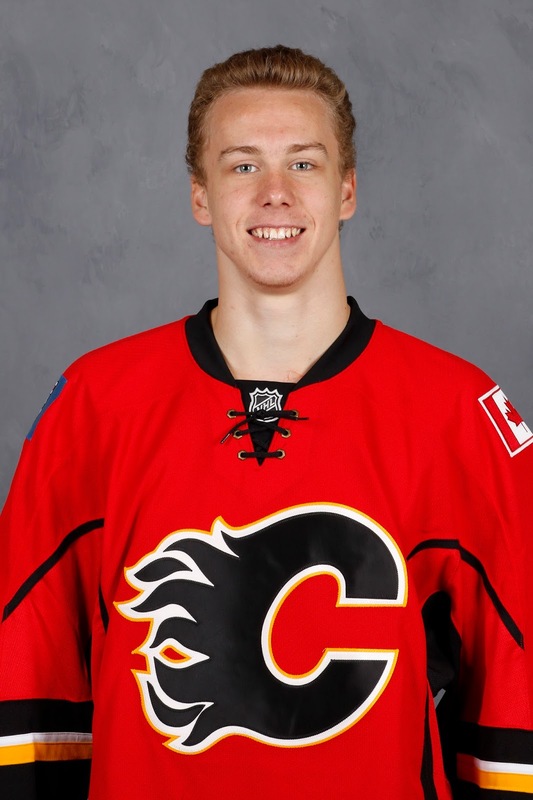 More of a defensive player, one wonders if his game is dynamic-enough to fit Calgary's style. The young man really impressed in rookie camp. Drafted as a winger but deployed by the Flames as a centre, he's got that blend of size and skill teams want up the middle and it's why he already has people in the organization excited. He's a long way away, but the Belarusian has plenty of potential. Was one of Adirondack's most relied upon defencemen at the time he suffered a season-ending wrist injury last February. Then he suffered a major injury (shoulder) again in Penticton. Calgary would like to get him back to the AHL but for now, his long road back has him toiling in the ECHL. A key guy for Stockton, Arnold is someone the coaches trust so gets a lot of responsibility. Making it to the NHL will hinge on his ability to be very reliable at face-offs and on the penalty kill and also be a bit more tenacious. As he projects to a fourth line role, more grit to go with his speed would help. His points are down from a year ago but with right wing an organizational weakness and potentially about to get worse if Jiri Hudler and David Jones depart, a bottom-six role may open up. He's been used in various roles in Stockton from top line to checking line and his versatility will be beneficial. Stuck in Calgary's three-goalie mess to start the year, waited a long time to get his chance then fumbled it. Back in the AHL after going unclaimed on waivers, he's been inconsistent and has lost starts to Kevin Poulin lately. Is an RFA this summer so while he could be back, no guarantees either. It came as a surprise when he made Sweden's World Junior team but they were specifically seeking a big, strong defensive defender and Mattsson is exactly that. Unfortunately, an injury ended his tournament early. He has signed for one more year in Sweden and could come to North America after that. He's a huge body that could give Calgary some useful size in the bottom six but his skating will always be the primary concern. Currently in his first pro season, the offence hasn't been there but no surprise for year one. Will the goals come and steadily progress like in the OHL, that remains to be seen. Sorry ESPN, but "disgusting" is a little bit much. Dennis Wideman is not that type of player. That said, a suspension may still be coming. With the NFL hype machine in overdrive leading up to the Denver Broncos and Carolina Panthers showdown in Super Bowl 50, NHL hockey isn't exactly a hot topic on U.S. national sports radio these days. In fact, it is a rarely discussed topic at any point in the regular season. 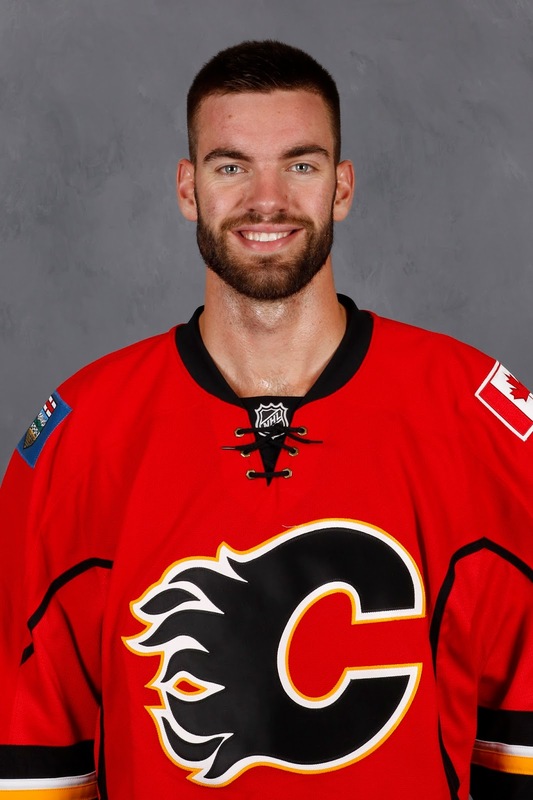 But that wasn't the case Thursday morning as the Flames defenceman was under the microscope on ESPN's Mike & Mike show after his controversial collision Wednesday night with veteran linesman and Calgary-born Don Henderson in Calgary's 2-1 loss to Nashville. In the segment, co-hosts Ian Fitzsimmons and Mike Golic aren't shy to weigh in with their opinions on the incident, both implying it was a dirty play. "It’s nasty, it’s bad. It’s really bad," says Fitzsimmons. "He actually sees Henderson, changes direction a little bit, he speeds up and then drops the forearm and extends his arms into him. That’s as chicken-you-know-what as it gets." After the game, Wideman was adamant that it was an accident. "I took a pretty hard hit down in the corner and had some pretty good pain in my shoulder and my neck and I was just trying to get off the ice and I was kinda keeled over and at the last second, I looked up and I saw him and I couldn't avoid it," Wideman said. At the next stoppage, Wideman skated over to where the officials were gathered and apologized to Henderson. Although it didn't appear it went over all that smoothly as Henderson skated away shortly after. "Throughout my career and I've been around for a few years, I think I've treated every official with the utmost respect and I would never intentionally try to hit a linesman or a ref or anything like that," Wideman added. Here is the full video of what Wideman had to say when he emerged to address the throngs of media waiting at his stall after last night's game. Bob Hartley said he didn't see it live due to the angle and how close it was to the sideboards but he saw the replay. 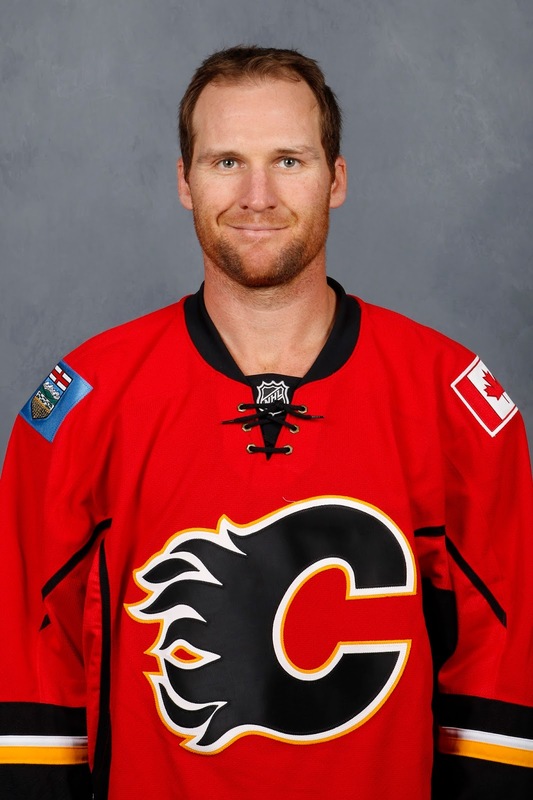 Wideman is not that type of player, he just isn't. 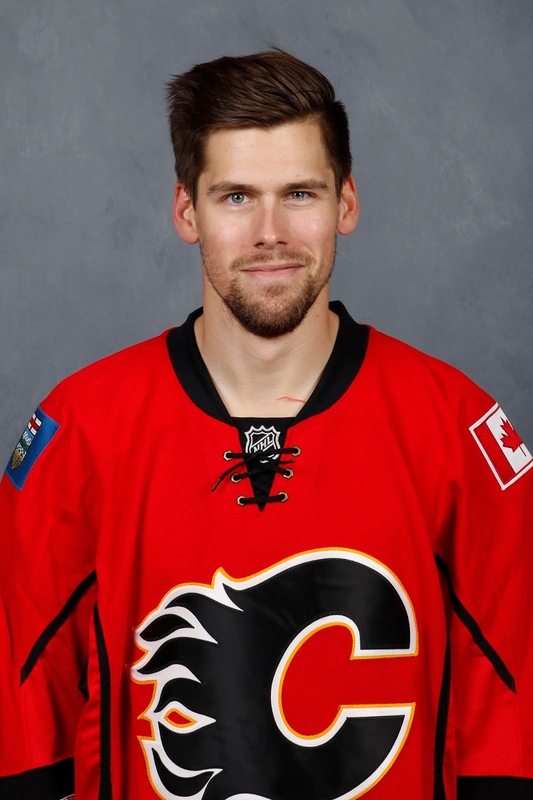 Flames fans only wish he played more physical and with greater tenacity. For example, the 32-year-old has had three fights in the last nine years and the most recent -- last month -- came when he jumped into a game-ending scrum and ended up throwing punches with Ryan Getzlaf after Ryan Kesler, one of the NHL's most universally disliked players and public enemy No. 1 in Calgary due to his Canucks past, fired a puck into an empty net after the final buzzer of a frustrating 1-0 Flames loss. So given the circumstances, you can almost scratch that one from his record. While I don't think for one second that it was his intention to hit Henderson -- who is a pretty big dude, it's the physical force that nevertheless did occur that could land Wideman in hot water with the league and potentially land him a 10-game suspension. Making matters worse are reports that Henderson ended up in hospital for observation. 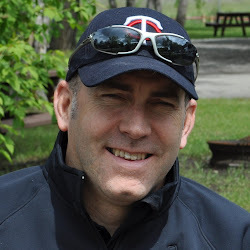 Confirming NHL linesman Don Henderson was in hospital for precautionary reasons. Home now. NHL expected to decide on Wideman today. The league announced on Thursday afternoon that Wideman had been suspended, pending a hearing with NHL Hockey Operations on Tuesday. Even if Wideman was dazed after being smoked into the boards seconds earlier on a heavy hit by Nashville winger Miikka Salomaki. Even if he was just trying to quickly get off the ice to avoid a too-many-men-on the ice penalty. Even if he was looking down and didn't see Henderson until the last minute and then tried to sidestep him. The outcome is what it was. He ended up contacting an official and that's a serious no-no according to the NHL Rule Book. The applicable section is 40.3. Give it a read and is that not what took place? The caveat to all this, as pointed out Thursday afternoon by Sportsnet Analyst Elliotte Friedman is all of that suspension wording in the rule book is in the scenario of it being additional discipline beyond a game misconduct. In this case, no game misconduct was called. In fact, no penalty was called at all. 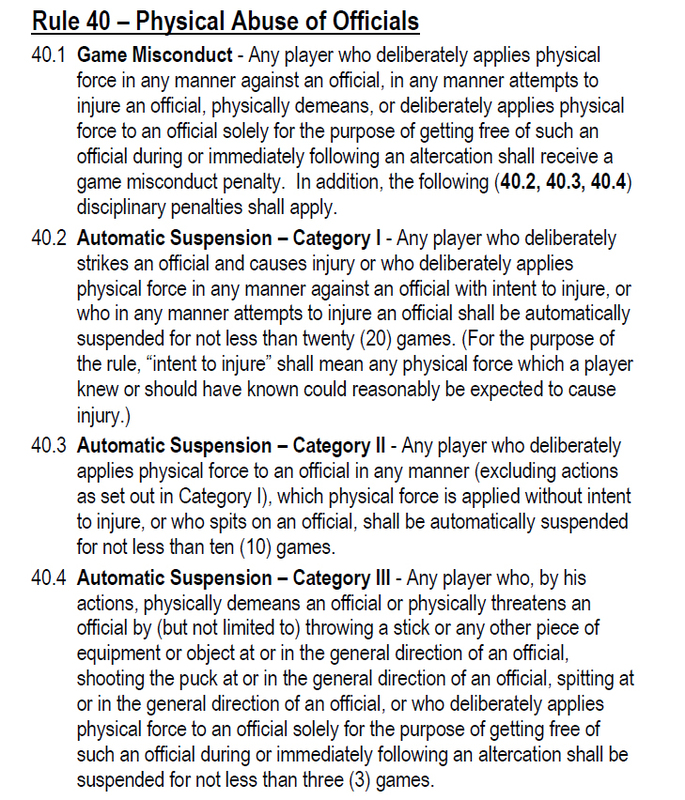 Mind you, I don't think whether or not a game misconduct was called should really matter. It doesn't change anything. What happened in that sequence is still what happened and while this caveat opens up the possibility of a suspension for fewer than 10 games, I'm not sure why the league would stray from a suspension length that it has put in place for these types of situations. I don't believe Wideman intended to run into Henderson that heavily. I don't believe his intention was to run into him at all. But I don't think it's going to matter, nor should it and I bet that is how officials around the league view it also. By not having awareness of what was going on around him -- regardless of the events that led up to it, the result and what millions of people watched over and over the last 24 hours was the inadvertent yet still deliberate-looking applying of "physical force to an official" and when that happens "in any manner" as the rule book clearly states, an automatic suspension for not less than 10 games is what would typically follow. The timing certainly couldn't be worse for Wideman. By unfolding on the eve of the NHL's showcase event -- the All-Star Game this weekend in Nashville, it gave the league the exact type of negative publicity they don't want -- and they won't be happy about that. Will it cost him? Probably. Thirty-eight days to go. Sixteen more games. The Feb. 29 NHL trade deadline is creeping closer and with that, debate is intensifying around how the Calgary Flames -- six points back of third place in the Pacific Division with three teams to pass -- should approach this last chance to ship guys out or bring guys in. The barometer for determining what your favourite team is doing is unrestricted free agents. If your team is trading for UFAs, they're loading up for a long Stanley Cup playoff run. If they're trading them away, it's a waving of the white flag on the season. However, by our stubborn insistence on categorizing teams as doing one or the other, are we over simplifying it? When your options are (a) or (b), why not choose (c) all of the above? On Mar. 1, 2015, one day prior to last year's trade deadline, the Flames could not have been closer to a playoff spot without actually being in one. In the Pacific, they were tied for third in points with Los Angeles but were fourth on the grounds of having played one additional game. On that Sunday, Calgary traded veteran Curtis Glencross to the Washington Capitals, getting a second and third round pick in return for the longtime Flame and pending unrestricted free agent. By the end of that night and without even stepping on the ice, the Flames then climbed back into a playoff spot when the Kings lost. Yet on Monday, the approach remained the same. The lone move made by general manager Brad Treliving before the deadline passed was another player heading out. 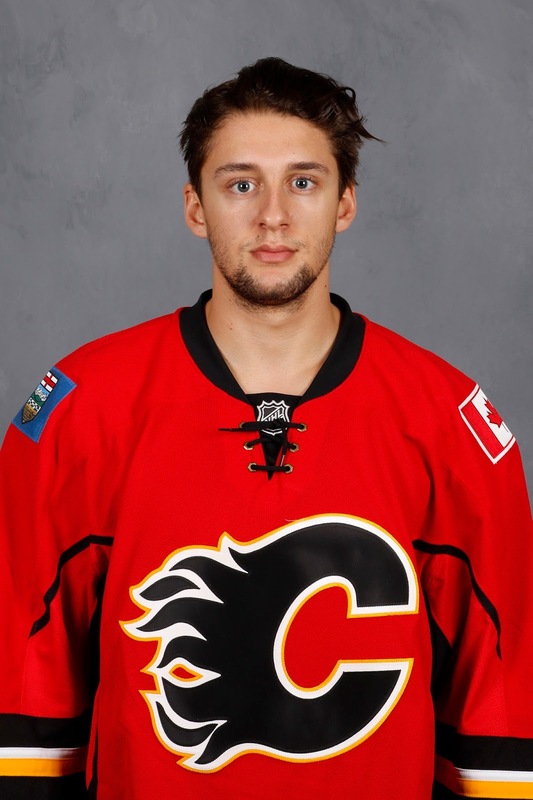 This time it was Sven Baertschi, sent to Vancouver in exchange for a second round draft pick. By trading away two players and only getting draft picks in return, by not bringing in a defenceman to replace Mark Giordano, who suffered a season-ending injury in New Jersey on Feb. 25, the optics were that of a team that had chosen the path of surrender. It was the approach that made sense too. Calgary was an overachieving team that was still in the early stages of rebuilding and could not afford to mortgage the future for short-term gain. However, if we learned anything from the final seven weeks of last season, never underestimate the resolve of the players left behind when a couple of veterans are removed from the roster. 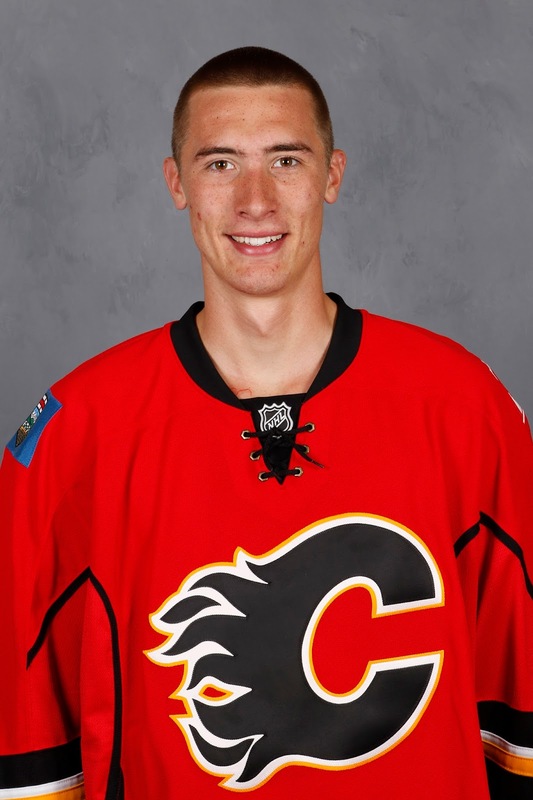 In a best-of-both-worlds scenario, the Flames took their three additional picks in the 2015 NHL Draft and still went on to make the post-season. The icing on the cake was knocking off the Canucks in the first round and making it to the final eight for just the second time in 26 years. At last year's draft, the Flames traded away three picks -- one first round (15) and two second rounds (45, 52) to acquire 22-year-old defenceman Dougie Hamilton from Boston. The price was worth it as after a rocky start, Hamilton has really settled in nicely on the Flames blueline and is showing why he was such a coveted player. However, the price was still expensive. Losing three draft picks in the first two rounds of a deep draft is going to leave a development void for the organization that will take a while to backfill. Combine no draft picks in the top 50 in 2015 with the fact that the team's top selections in each of the previous two drafts -- Sam Bennett (4th overall in 2014) and Sean Monahan (6th overall in 2013) are already fixtures in the line-up and you have an organization with a lack of young, can't-miss, high-end prospects in the pipeline. The Flames only top-20 pick prior to Monahan and since Dion Phaneuf in 2004 was Baertschi and he's now toiling on the West Coast. The organization remains optimistic about Emile Poirier (22nd overall in 2013) and Morgan Klimchuk (28th overall in 2013), both playing with Stockton in the AHL. They're still hopeful with Mark Jankowski (21st overall in 2012), who will turn pro this summer after graduating from Providence College, but it's paramount that this team inject some new, younger, high-upside prospects into the system. While it looks like Calgary did a nice salvage job in last year's draft by getting two highly-touted Swedish defencemen where they did -- Rasmus Andersson at No. 53 and Oliver Kylington at No. 60, generally speaking it's higher picks that come with greater assurances that you'll select a player that will pan out. Obviously, pending UFAs Kris Russell, Jiri Hudler and David Jones are not going to fetch first round picks but by accumulating second, third or fourth round picks, that gives you options such as bundling picks and trading up like Calgary did in June to get a player they really like. Last year, the Flames sent two third round picks (76, 83) to Arizona for the Coyotes late second round pick and drafted Kylington, who Treliving admitted they had ranked much higher. The ability to trade up in the draft, or just make more picks and better your odds of striking gold that way, all hinges on Treliving's ability over the next six weeks to add draft picks. 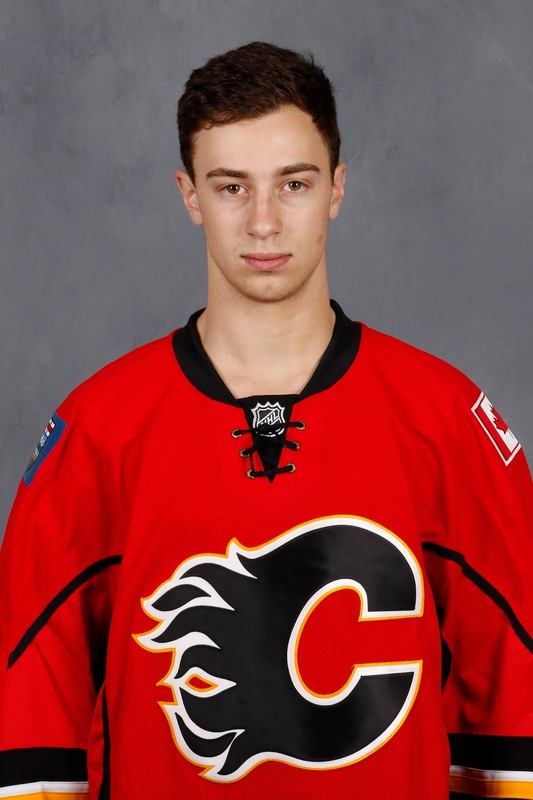 The two guys creating quite the stir across Flames nation these days, as well as around the league, are Johnny Gaudreau and Bennett. Calgary has scored 18 goals in six games over the last two weeks -- 15 of them have been created by and/or scored by one or the other. When your two top-producing forwards (by far) are a sophomore and a rookie, that's a pretty clear indication that as a team, it's not your time yet. Calgary needs to build up its forward depth and to accomplish that over the next few years and get to the point where they're a perennial contender, they need to add young impact players into their system and pronto. The priority for this year, to set the team up better for future years, has to be unloading veterans that aren't part of the big picture for assets that one day could be. This need not mean Calgary is giving up on making the playoffs this year as anything can happen in the very weak Pacific, but your priority as a GM is not on moves that will help this season. 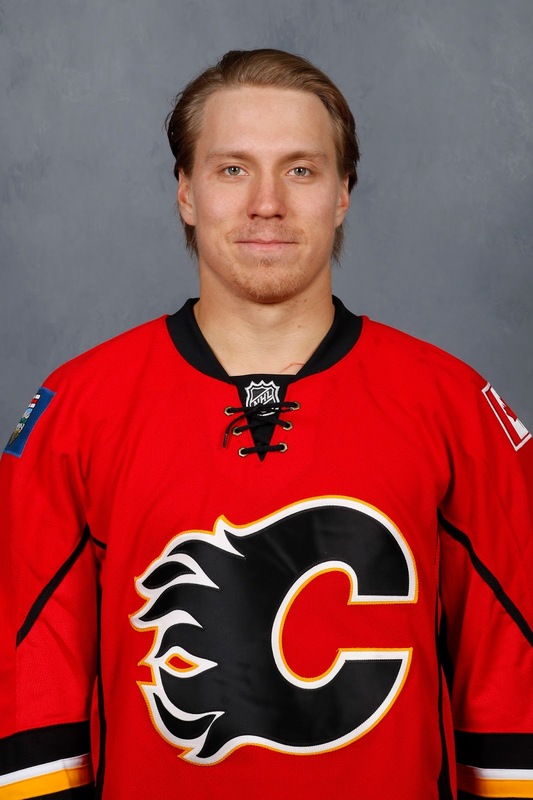 For now, it's about sticking with a player like Markus Granlund so you know by the summer what he is. It's about finding a way to get Czech defenceman Jakub Nakladal to Calgary for an audition so you can find out if he's NHL-calibre and a potential value-priced third pairing option for the next few years. What about accomplished face-off man Derek Grant, who has been an offensive standout in Stockton and is only 25 still, could he be part of this team's bottom six for the next few years? The mindset need not change, the coach and players can certainly remain focused on winning and if the kids up front and the big three on the back end of Giordano, TJ Brodie and Hamilton can all stay healthy, there's still a chance of making the playoffs anyway. Heck, if last year's team could climb back into a playoff spot without Giordano, this year's team -- deeper and more talented -- could still do so without Russell. Calgary would gladly take a playoff appearance this spring over a spot in the draft lottery, but it's not important enough to trade assets for that. Making the playoffs repeatedly in years to come by accumulating assets is the smarter play. "I'm taking my talents to Northern California." OK, so maybe those won't be the exact words we hear when the return of Lance Bouma necessitates a Flames version of Lebron James' The Decision. 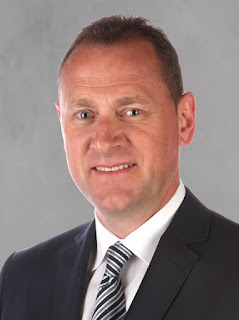 But for GM Brad Treliving, the man with the final say, somebody is going down to Cali. As it stands, Calgary's roster is at the maximum-allowed size of 23 players with 14 of them forwards. In order to activate Bouma from injured reserve and put him on the roster, someone must come off. With coach Bob Hartley telling the media in Columbus on Wednesday he expects Bouma to play either Sunday or Monday, the decision should come in the next 72 hours. If this storyline sounds familiar, that's because we were already at this exact same crossroads once before. Six weeks ago when Bouma was on the verge of returning from his first injury of the season -- the broken leg that sidelined him for two months -- the same decision loomed. I wrote about it at that time and in this piece examined the leading candidates to go down. Of course, it all became a moot point when conveniently -- from a roster-move perspective -- Michael Frolik got hurt and went on the IR, freeing up a roster spot for Bouma. The chain reaction has been non-stop ever since. 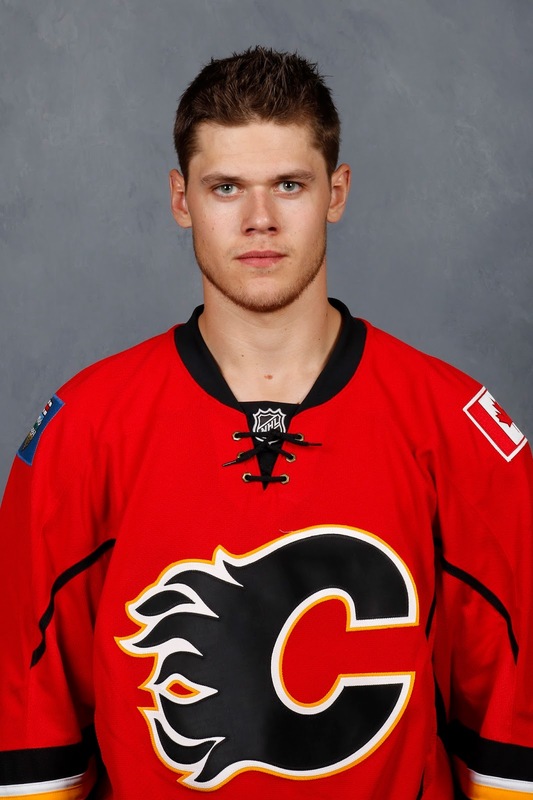 As soon as Frolik was ready to return, the same hard decision was dodged again because Jiri Hudler got injured. By the time Hudler was ready to go, then Bouma was injured again. Finally the day for this long-awaited decision, which has been hovering over Calgary like a Chinook Arch, is nearly upon us as long as a forward doesn't get banged up Thursday night against the Blue Jackets. In that last piece, I handicapped the five players most likely to be shipped out. If I was to repeat that same exercise today, the top four names would remain the same although not necessarily in the same order. They were Mason Raymond, Josh Jooris, Markus Granlund and Brandon Bollig. The fifth name last time was Micheal Ferland. Truth be known, I never believed it was even a faint possibility that he would be the one to go despite his average play at the time, but I like round numbers so I wanted a fifth. Obviously, Ferland has turned it around big time since then and is now riding shotgun with Johnny Gaudreau and Sean Monahan on the Flames top line. The fifth name I would add this time around is Joe Colborne because by being a scratch for two games last week, that goes to show that he's not necessarily as safe as one might think. But like Ferland last time, I seriously doubt his spot is in jeopardy and more so, it's the other four that should be most worried. The most significant thing that has changed since the last time when I figured it would would most likely be Raymond or Jooris that would go on waivers is Granlund is no longer being deployed as the team's No. 2 centre. His role has diminished, he's contributed zero offensively and his linemates have changed. He was skating for a while with Sam Bennett and Hudler. Now it's Mason Raymond and David Jones. Back in mid-December, Granlund had scored three goals in five games and was coming off an outing in which he logged over 19 minutes of ice time (even more than Monahan). Turned out that was the peak of the mountain. He hasn't scored a goal in 16 games since and over that span has just one assist. His average ice-time has been closer to 13 minutes. As the only candidate for demotion that does not have to clear waivers, sending Granlund to the AHL would be the easy decision for Treliving. However, just because it's the easy decision, is it the right decision? Not necessarily so. One thing we know for certain with Granlund is he's a very good AHL player. He's proven that time and time again by scoring 39 goals in the 85 games he's spent in the minors the last three seasons. Going back to Stockton and being the best player on the team doesn't help answer the organization's bigger question of is he an NHL player? He's had solid stretches in the NHL. He's also had less effective stretches like he's mired in right now. But at age 22, it's common for young players to go through good and bad patches like this. I'd argue it's time to let him work through his current funk and see if he can get back to being the player he was in early December. 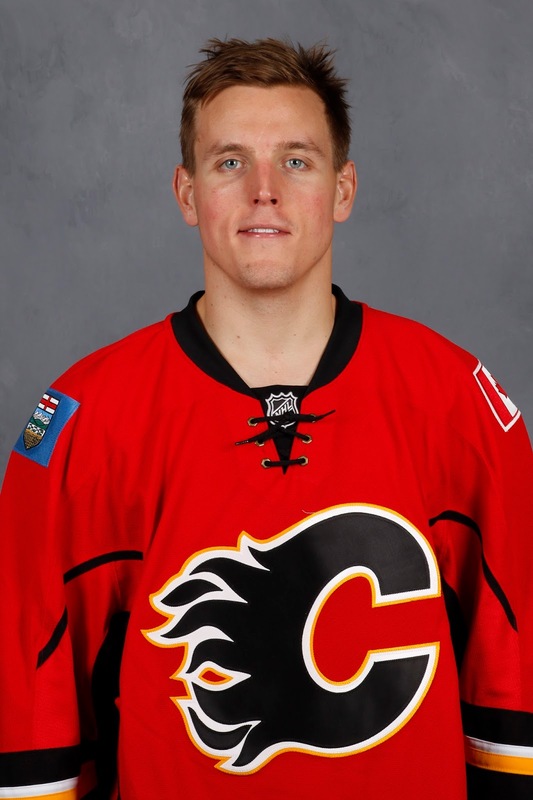 With other prospects coming, it's incumbent upon Calgary's management team to figure out sooner rather than later where Granlund fits into the organization's future plans, if he fits in at all. It's a point Hartley talks about all the time. The Calgary Flames rely a lot on their younger players -- Bennett - 19, Monahan - 21, Gaudreau - 22, Dougie Hamilton - 22, Ferland - 23. He gives them a lot of ice time and a lot of responsibility and knows they'll make mistakes along the way but he acknowledges that's how they'll get better and that's how they'll grow. That attitude of keep playing them, keep sending them over the boards shouldn't be any different with Granlund, also part of that same age group. Unless you're brimming with confidence that the Flames can knock off at least one of and potentially both of the Los Angeles Kings and Anaheim Ducks in a best-of-seven series, a long playoff run is unlikely this year. Heck, just making the playoffs isn't looking promising right now. This is the year more experienced prospects like Granlund need to be playing so if he does prove he's an NHLer, he'll be an even better one next season when playoffs become a more legitimate expectation. Calgary still owns the 30th ranked penalty kill in the NHL at 74.8 percent. Given that status, does it makes sense to demote the player, who thus far on the season has been the most effective forward on the PK? Granlund has accrued over 24 minutes of penalty kill ice time this season and has been on the ice for only one power play goal against. That's by far the best ratio on the team. Here are Calgary's most used PK forwards, sorted by average time-on-ice per PP goal against. Now goal-based stats can be skewed sometimes and maybe Stajan has been particularly unlucky and Granlund has been really lucky in terms of saves made while he's on the ice. But it's safe to say he's at least one of the team's best penalty killers and that should be a consideration when deciding who to demote. Sam Bennett is playing the best hockey of his young career. While some feel that makes the time right to demote Granlund and shift Bennett to centre, I'd argue this is the time you don't change a damn thing. 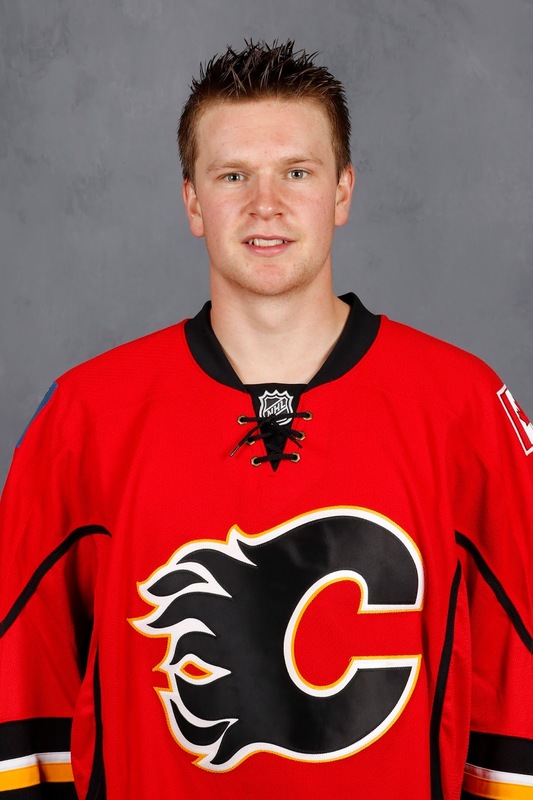 He's working well beside Mikael Backlund, he's a real threat using his speed when coming off the wing. If it ain't broke, don't fix it. Additionally, if you move Bennett to centre, who is rounding out that top six? You end up diminishing Backlund's role while opening up a hole at left wing on the second line. You could shift Frolik to the left side since Ferland and Hudler are on the right side but then who is going to play with Backlund? It seems like an awful lot of unnecessary changes. Of course, it need not be that complicated. The other alternative and more likely scenario if you don't want to over tinker with the top six is Jooris steps in at fourth line centre with Stajan bumping up to be the pivot on the third line. Mind you, this is the same Jooris, who has been a healthy scratch 12 times since the start of December while Granlund has not sat out once. I'd be tempted to keep Bennett right where he's at and keep rolling out Granlund on the third line. A common point brought up with Granlund when rationalizing why he should be demoted is he can't win a face-off. Terrible, dreadful, awful -- all adjectives I've read and sometimes used myself in describing his efficiency at the face-off dot. However, he has improved this season and is not that far behind the other three centres on the club. So the difference between Monahan and Granlund over the course of a game -- all ice time being equal -- would work out to one face-off win or two on some nights. If that's a key draw lost in the defensive zone that leads to a goal, it could be significant. But most likely, that extra loss could be in the neutral zone and be a non-factor. Last year, Granlund was particularly poor at 36.8 but if he can be in and around 44 or 45 percent, face-offs is not going to be the thing that keeps him out of the NHL. The scratches for the Flames on Thursday night in Columbus are expected to be Raymond and Jooris. Those are the same two names that topped the list of most likely candidates to be sent down six weeks ago. So while much has changed, much has stayed the same also. With Calgary on a scheduled day off on Friday so no media availability, we've seen the team take that window of opportunity before to put a player on waivers so the outcome of that is known by the time the team next hits the ice Saturday morning at the the Carolina Hurricanes practice rink in Raleigh, North Carolina. 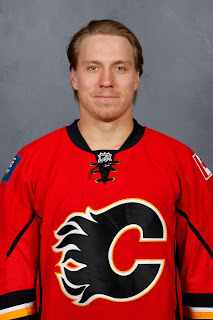 If the Flames decide to make the hard decision rather than the easy one and demote someone other than Granlund, the waivers process must be completed and the player re-assigned before Bouma can be activated. For Bouma to play Sunday, someone would need to go on waivers either Friday morning or Saturday morning at the latest. Now we sit back and await The Decision. 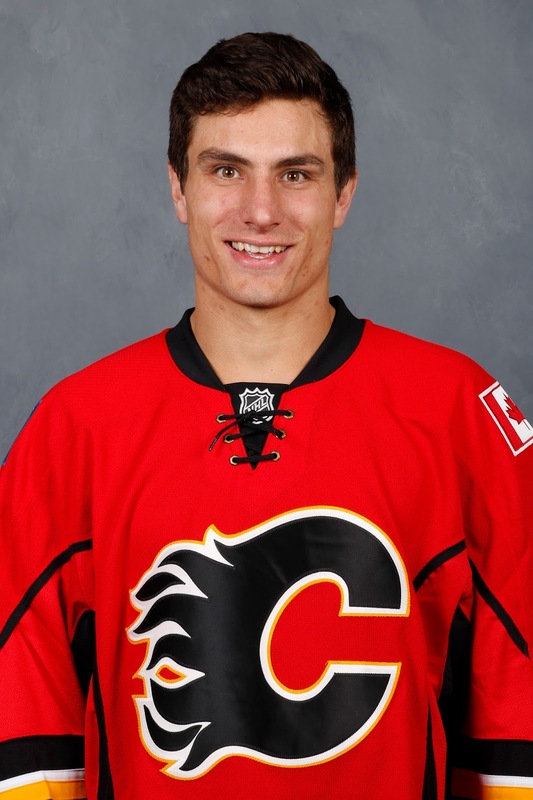 As Calgary got on the charter Monday, bound for New Jersey and a date on Tuesday night with Mike Cammalleri and the Devils, here is an assortment of musings on the current goings-on within the Flames organization and in this case, an update on a couple of alumni as well. Remember Nigel Dawes? After being claimed off waivers from Phoenix in September 2009, he played that season with the Flames. In his only year in Calgary, he went 14-18-32 in 66 games. 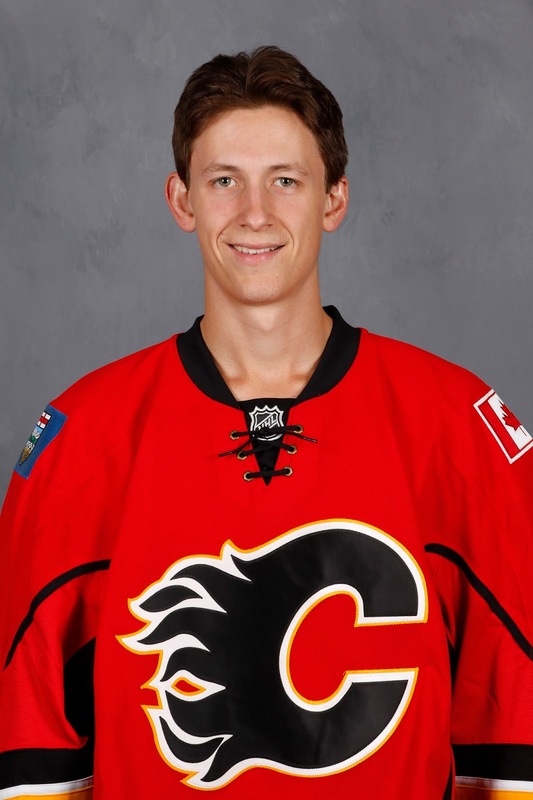 For the last five years, Dawes and Dustin Boyd, another ex-Flame, have been teammates with Barys (Astana) in the KHL. The two, who both hail from Winnipeg, have put together solid careers over in Russia. Dawes, in particular, is having another terrific offensive year. With 27 goals in 46 games, he ranks second in the league in goals and was recently named to the upcoming KHL All-Star Game. As for Boyd, 15-16-31 in 42 games this season, the curly-haired 29-year-old is proving to be elite in face-offs. His 60.6 percentage at the dot ranks him fifth in the KHL. Meanwhile, the Flames are 27th in the NHL and don't have anyone over 50 percent. Oh Dustin, where art thou? 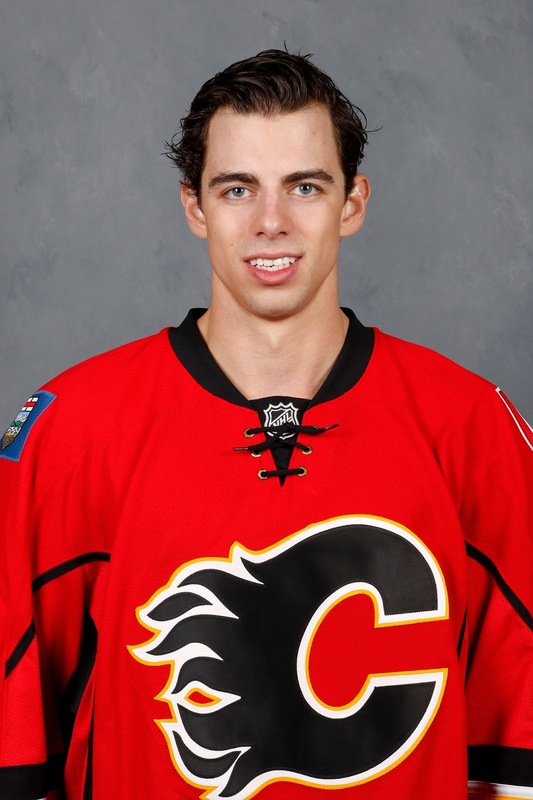 It seems like forever ago when in 2006, Calgary drafted Boyd in the third round from Moose Jaw (WHL). He played parts of four seasons with the Flames racking up 28 goals and 57 points in 192 games. 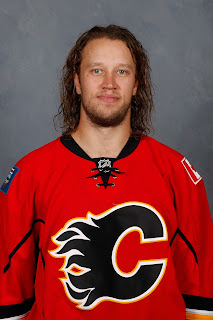 You do have to feel for Karri Ramo, who on Tuesday night in New Jersey will be relegated to back-up duty for a third game in a row. After starting 12 consecutive games and 26 of 30, it looked like the 29-year-old Finn had seized the reigns as Calgary's No. 1. 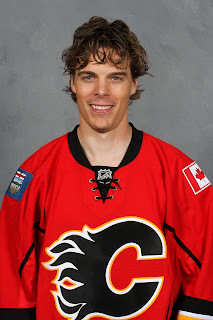 However, props to Jonas Hiller for making the most of what very easily could have been a one-and-out scenario by shutting out Florida to earn another start then playing very well against Edmonton to get the tap on the shoulder again. In stopping 51 of 52 pucks fired his way over the past two games, Hiller has raised his season save percentage from .862 to .882. It's still far from great. Heck, it's still far from mediocre, but it's better. As a goalie, all you can ask is a coach that will keep playing you if you're playing well and earn it and that's what Hiller has done. The tough part for Ramo is the circumstances of his last start. In Calgary's 5-4 loss to San Jose, five goals on 18 shots sounds awful and if you were just surfing the box scores, you'd think he was rotten. But it was a very unusual game in which you couldn't fault him on any of the five goals. Two were wicked deflections, one was when Brent Burns was left wide-open backdoor for a one-timer. Another was a Joe Thornton breakaway and then there was a nifty re-direct by Joonas Donskoi at the side of the net on a shot going wide. Just like that, it was a dagger to Ramo's season save percentage. Expect Ramo to return to the net as soon as there is the slightest of stumbles from Hiller because his body of work over the previous two months has earned him that. Also, if one of the two pending UFAs returns next year, Ramo -- nearly five years younger -- would be the guy so you want him feeling good. Another reason to get Hiller going is two goalies are going to be needed over the final two-plus months of the season because things get busy. When Calgary begins play after the NHL All-Star break with a home game against Carolina on Feb. 3, that will be the first of 34 games in a span of 67 days. That is a seriously condensed schedule. Over that span, there are no stretches of three days off between games and only five stretches of two days between games. Mind you, those five 'extended' rests are countered by five sets of back-to-back games. Compare that closing stretch with 48 games over 113 days leading into the all-star break and the difference boils down to one extra game every two weeks. Instead of an average of six games every two weeks in the first-half, the Flames will average seven games every two weeks over the second half. This difference may not sound like a lot but it will add up. Calgary has done well to get by on a roster of fewer than 23 players for much of the season. They may not have that luxury pretty soon and if injuries set in, that could mean opportunity for players in the AHL. It must be close to time for the obligatory call-up of Tyler Wotherspoon where he joins the team but then doesn't play. The Cam Talbot three-year extension for $12.5 million announced Sunday, an annual average value of $4.17 million, raised a lot of eyebrows all over Alberta. However, the reality is there is more demand than supply when it comes to established NHL goaltenders and while at first glance, it seems like a lot to pay for someone whose body of solid work is less than two years, that's the going rate at the low-end of the spectrum for a veteran goaltender or one of that age, who is a No. 1 -- even if the resume isn't all that deep. Based on this year's salaries, Talbot would rank 25th among the NHL's goaltending fraternity in compensation. The UFA market for 2016 for goaltenders is extremely weak so Talbot was in a power position with the Oilers knowing that he was courted by a few teams last year via trade and also had a few chasing him -- including Calgary, reportedly -- when he was a free agent last summer. On a local front, what does that deal mean for Karri Ramo? I would suggest Ramo is in a similar situation to Talbot and should he re-sign with Calgary, like it or not you're probably looking at a similar deal in terms of dollars and term. Both are similar in age -- Talbot is a year younger at 28, both have potential upside but are unproven over the long run. 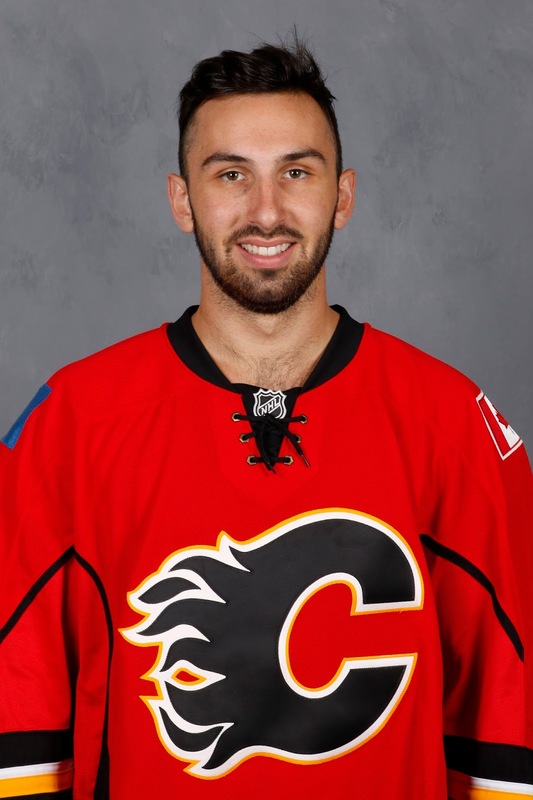 While working against Ramo should he hit the open market would be one less job now that Edmonton has their guy, the Flames lack of NHL goalies signed for next season will work to his advantage. While a trade is also a possibility for Calgary, who is available and whether or not they're a good enough upgrade to give up assets to acquire (e.g. Brian Elliott) is the question. The shrewd move may be retaining the assets and keeping Ramo. I don't think a Ramo re-signing is imminent at all. But with the adjustment he recently made to his style, if he can show over the final few months that he is worthy of being the team's number one goalie next season, then I wouldn't be surprised if a similar deal to what Talbot just got gets announced for Ramo. I'm sure Calgary would prefer two years but to quote legendary rocker Mick Jagger, "You can't always get what you want." Overlooked for Team Sweden at the IIHF World Junior Championships, perhaps regrettably given they finished without a medal, Rasmus Andersson continues to be a highly thought-of prospect for the Flames. On a hot streak recently, the Swedish blueliner has nine assists over his last six games with the Barrie Colts. Calgary's top draft pick last year -- at 53rd overall, Andersson is putting together another solid campaign and has ascended to the top of the OHL's scoring leaders for defencemen. It seems that Andersson, who made a very good impression in September at both rookie camp and main camp, has carried that over into league play. With 38 points (7 goals, 31 assists) in 40 games, Andersson ranks 10th in the country in points-per-game for CHL defencemen and it should be noted, is doing it in what many believe is the toughest of the three leagues. Calgary's power play took some heat on Saturday and it was fair criticism after Calgary went 0-for-5 in a game in which they lost 2-1 in a shootout. Cashing in on just one of those chances including a full two minute 4-on-3 in overtime could well have made the difference and got them the two points that ended up eluding them. What's offside is to dump on the power play as continuing to be awful because that's not really accurate. Heading into Saturday night, the Flames had been much improved in this area and had operated at a clip of over 25 percent over the previous 10 games. Here is how Calgary's PP has fared over the past month. Because the man advantage was so dreadful the first couple months, it's come time to look beyond their season ranking because they'll never dig themselves out of that statistical black hole. More relevant is can they can be one of the top 15 power plays from now until the end of the season, that's all that really matters at this point. Stockton finally broke out offensively on Sunday, taking advantage of former Flames goaltending prospect Leland Irving. The Heat scored six times on 27 shots against the 2006 first round pick in the 7-4 victory over Iowa. Leading the way offensively was red-hot Derek Grant, who had one goal and four points. The 25-year-old has 12 points (6 goals, 6 assists) during a seven-game scoring streak. Stockton, which has a young team by AHL standards, remains in last in the seven-team Pacific Division although they're 5-2-1 in their last eight games and are starting to make a move. While the top three teams in the division look entrenched for now, within striking distance are the teams in 4th through 6th -- Bakersfield (Edmonton), San Antonio (Colorado) and San Diego (Anaheim). In net, Kevin Poulin has returned from injury and looked sharp. He has been splitting time in net with Joni Ortio. Both goalies are RFAs at the end of this season. How many slap shots has Sean Monahan taken in his career? The answer is 17. On the verge of playing his 200th NHL game in New Jersey, I was surprised to learn it was that low. Although I started thinking about it and I can't recall him taking very many. Among the myriad of enhanced stats offered by the NHL now -- some more useful than others -- is a breakdown of shot types per player. Backhands, wrist shots, slap shots, snap shots, wrap-arounds, deflections, the off-ice officials logging each NHL game track all of this stuff. I found it fascinating to look through and see how ineffective the slapshot actually is. Of the Flames 115 goals this season, only six have come on slap shots. That's just over five percent. This would be a notable bit of trivia for minor hockey coaches to trot out with their players next practice because anybody that plays hockey loves the slap shot, but seemingly to a fault. In terms of slap shot usage, here are the top and bottom of the frequency list for the Flames. 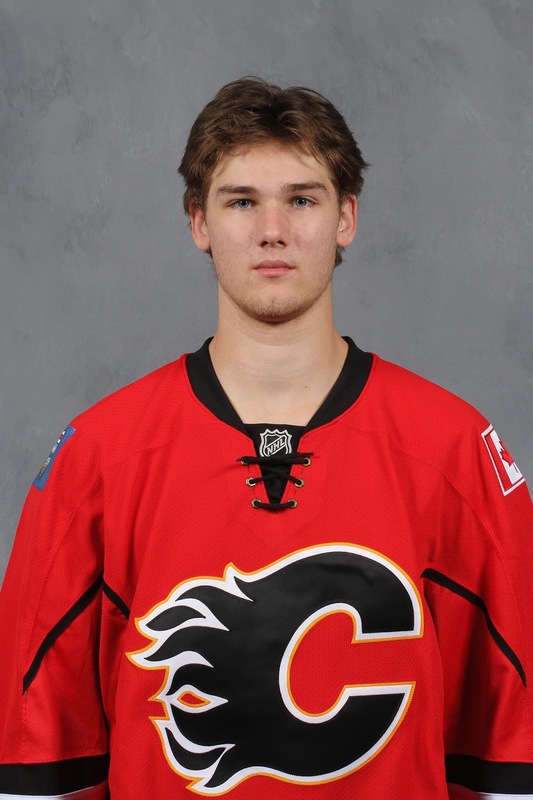 That's right, Sam Bennett and Josh Jooris have yet to take a slap shot this season and Monahan has only two. This led to me looking into which player misses the net most often as they track that stuff too. To my surprise, it wasn't Dennis Wideman, who was my guess. The answer is Kris Russell who interestingly only takes a slap shot 20 percent of the time. This week the Flames passed the halfway point in the 2015-16 season. At 20-20-2 after 42 games, here's a look back on the first three months in the form of my picks for the best and worst (and runner-up) individual and team performances in 12 categories. Are you sitting comfortably? Then we'll begin. After putting up 24 goals and 64 points as a rookie, Gaudreau has taken another giant step forward. The 22-year-old is sixth in the league in points-per-game and is on pace to finish with 37 goals and 84 points. Despite inconsistency from his linemates, he's put this team on his back and carried them. Since returning from injury (team went 2-7-0 without him), Calgary's ice-time leader has been one of the best players every night. Constantly a threat on the rush, he has also been a rock in his own end. There was uncertainty to start the season what Brodie's role would be with Dougie Hamilton lined up alongside Mark Giordano on the top pairing. Turns out, Brodie is the anchor tenant of the Flames blue-line and he's proven it all year with his elite-level skating, passing and two-way game. The prize free agent signing has been a huge boost to the right side. Superb in a checking role, he's also second among forwards in shots-per-game. His versatility was missed while he was injured. Statistically, it's been a huge drop-off. After 15 goals and 56 points a year ago, he has only two goals and 19 points. But it's more than that. At times he has struggled handling the puck, is missing the net often with his shot and he seems to have lost a step speed-wise and he wasn't that quick to begin with. With five goals and 22 points, he hasn't had nearly the impact of a year ago when he was in MVP talk with 31 goals and 76 points. Shut down with a groin issue, you wonder how long that's been lingering. Last year with Giordano hurt, Engelland was thrust into a top-four role for the final two months. It seems playing alongside Brodie during that time was great for him as he's come back this season and been a very steady presence. For the first six weeks, he was arguably the Flames most consistent defenceman. While he still finds himself in the coach's doghouse at times, he's been a reliable, checking centre behind Monahan and leads the team in SAT% Close (aka Corsi) despite a constant carousel of linemates. After starting on opening night, poor outings and bad goals resulted in Ramo being put on waivers, going unclaimed and demoted to the AHL. But a week later he was back and thanks in part to an adjustment in his style, he's been great and has taken over the No. 1 job with 26 starts in a 30-game span. They haven't won in OT in over a month but it's only because they haven't played an OT game during that time. Their 8-1 record in games decided at 3-on-3 remains the best in the NHL (Chicago is 8-4). Looked like a great fit on paper. Giordano, left-shooting Norris Trophy candidate alongside Hamilton, much-hyped right-shooting rising star kidnapped out of Boston. But on the ice, it was a disaster. No chemistry, the captain looked frustrated. Curiously, both have thrived since the split. After busting out for 16 goals a year ago, Bouma was rewarded with a 3-year/$6.6 million deal. But injuries have ruined his year. He missed 30 games with a broken leg and is now out with a deep leg cut. Trailing 3-0 after two periods to the NHL's best team at the time, Calgary roars back on goals by Backlund, Gaudreau and Hamilton with 2:18 left. It was a wild third period with the Flames outshooting the visitors 16-4. Calgary won the game in a shootout, Gaudreau with the deciding goal. With 75 combined shots, this game had it all. Flames blow 2-0 lead, give up late go-ahead goal on Brad Marchand's penalty shot, Hudler ties it with two seconds left. Gaudreau caps off hat-trick in OT. Less than a week earlier, the Flames were schooled pretty good in losing 4-1 to the reigning Stanley Cup champs at the United Center. On this night, Calgary played a tremendous game, outshooting the Blackhawks 37-19 including 6-0 in a dominant overtime. The home side finally wins it on Gaudreau's goal. Panthers rolled into town as the NHL's hottest team (12-0-1 in last 13 games) but the Flames, led by Bennett's four goals, absolutely crushed them in a one-sided beatdown. Calgary held a 36-15 edge in shots. This game was all kinds of awful. It was boring as the Ducks clogged up the neutral zone and held Calgary to 14 shots (while only getting 21 themselves). The only goal was by Shawn Horcoff. The Flames power play was bad once again. And all of that against an Anaheim team that players and fans despise. In Joni Ortio's last start before being sent to the minors, the Canadiens -- with Carey Price backing up -- got a hat-trick from Dale Weise in steamrolling the Flames at home. Ortio gave up six on 31 shots. Runner-up: Dec. 4, 2015. Johnny Gaudreau with four points against Boston. It's always special when the former Boston College star plays Boston and what a night for Gaudreau as he caps off his hat-trick and first career four-point game with a beautiful goal 3:20 into overtime. Calgary was relentless on the attack in OT. After several close calls that had Saddledome patrons on the verge of erupting, Gaudreau finally ended it with a great individual effort. After his first shot was stopped, he stole the rebound from Brent Seabrook and made a slick move to beat Scott Darling. Deep in the Flames end, Backlund wins the face-off, Frolik dishes it to Bennett inside Calgary's blue-line and he does the rest. After turning Ian Cole inside out, Bennett goes top shelf on Marc-Andre Fleury. An early season punch in the gut. Tied 1-1 with less than two minutes left at the noisy MTS Centre, the Flames looked poised to get to OT when a harmless-looking rush from Dustin Byfuglien down the sideboards resulted in a bad angle shot that somehow slipped past Ramo for the winning goal. Down 2-0 after one, Calgary was pouring on the pressure and outplaying Dallas when Mattias Janmark's epic-wide wraparound left both Ramo and defenceman Ladislav Smid looking silly.